You’ve probably heard the saying, “Two heads are better than one.” We’ve taken that to heart at Montgomery Chiropractic. With two chiropractors on staff, you get the benefit of extra brainpower. Especially with difficult cases. 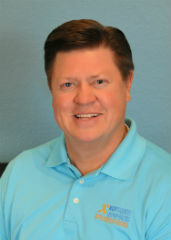 After graduating from Texas Chiropractic College in 1981, Dr. Montgomery opened his practice in Belton, Texas. He subsequently completed the 300 hour post-graduate course in Orthopedic Diplomate program in 1987. He achieved Diplomate status in the American Academy of Pain Management and the American Academy of Disability Analyst. Additionally, he is a TIRSAT certified doctor for the Texas Workers’ Compensation Commission and holds a “Master’s Certificate” in Whiplash Injuries. He has also completed 100 hours in Scoliosis management with the Copes Scoliosis program. Dr. Micah earned a Bachelor of Science majoring in Exercise Studies from John Brown University in Siloam Springs, Arkansas. He continued his education at Parker University College in Dallas, Texas where he earned a second and third Bachelors Degree; this time earning a Bachelor of Science degree in Anatomy and in Health and Wellness. Thanks for visiting our site. We look forward to meeting you in person and learning how we may be of service to you. 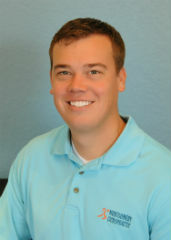 Give our Belton chiropractic office a call and let’s arrange a time to explore your options.